Once home, the churns always had to be emptied by hand and buckets. And the whey left over from the cheesemaking process also had to be taken out of the vats with buckets. “Che tribulade! !” (What a lot of hard work) comments Giuseppe in his Bergamo dialect. With the little milk they collected, Signora Teresa would make stracchino and mozzarella, which she tried to sell at her store and to other retailers who would use any means to bring the price down, including complaining about the quality of the cheese - something Giuseppe was not happy about. So, one day, he took a few cheeses and some scales and set off on his moped. He managed to sell all his products to consumers at the market, and earned much more that way!! From that day on, the Invernizzi family started to sell directly at the various town markets. In the early days, the stalls had to be set up from scratch at every market place, piece e by piece. They would start work at 5 in the morning and wouldn’t get home until 2 in the afternoon. It was a great success right from the start, Giuseppe tells us proudly, and when he got to market there would already be a queue waiting for him! 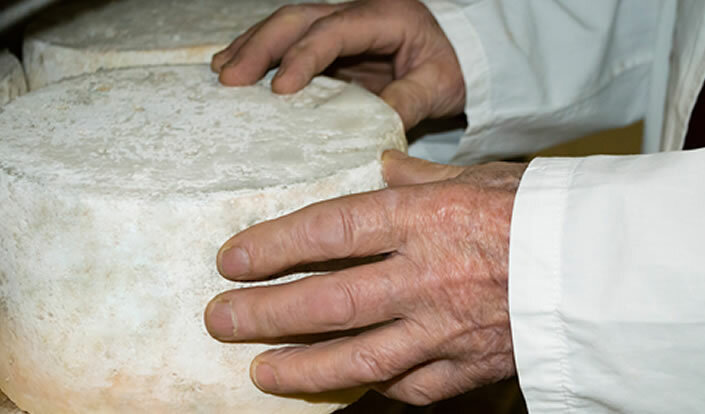 This success at selling was what spurred his family into producing Grana Padano. With the introduction of rules and regulations for production, the cattle diet changed and as a result the quality of the milk improved considerably. 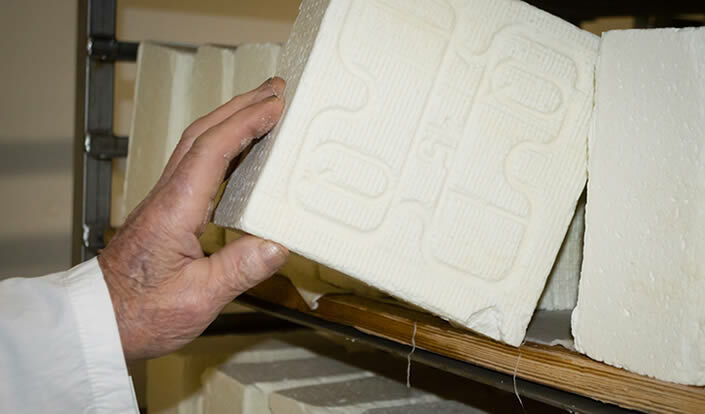 Clearly the dairies had to adapt and learn the correct milk processing methods in order to produce the cheese but, fortunately, the newly-established Consortium for the Protection of Grana Padano helped them stay on the right track. And this ensured that they have always had an excellent product! 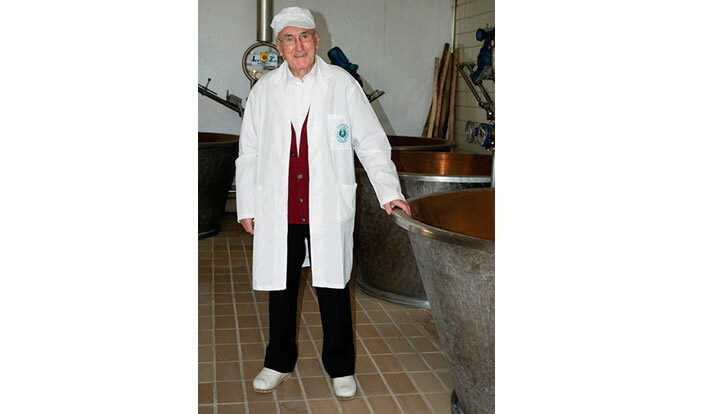 Giuseppe is delighted that his children Franco, Paolo, Marco, Giuseppina and Raffaella are working in the family business, and that his grandson Livio is the cheesemaker. 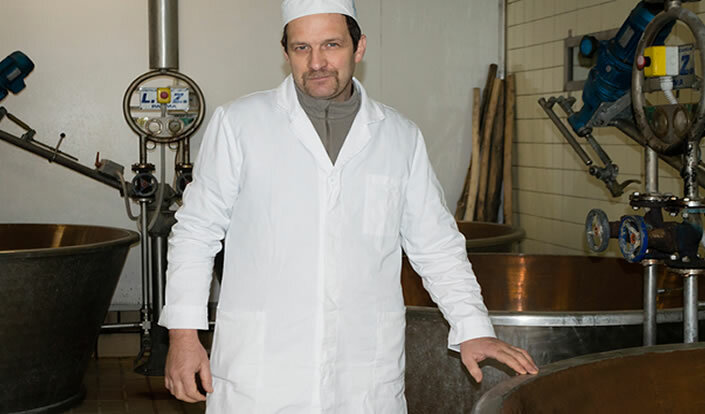 The latest recruit is 17-year-old Ivan, who attends the food and agriculture college in Caravaggio and does the training part of his course at the cheese plant. Giuseppe is truly an amazing man whose incredible energy is highly infectious, and we’d love to sit and listen to him for days. We thank him and his great family for being part of the history of Grana Padano.